The Avengers superhero movie has smashed the record for the biggest US opening weekend, taking $200m (£123m), early figures show. The previous best opening weekend was Harry Potter and the Deathly Hallows Part 2, which opened in July 2011 with $169m (£104m). The Disney film was called Marvel Avengers Assemble for its UK release. Included in the top five of biggest openers are The Dark Knight and Spider-Man 3. The Dark Knight, starring Christian Bale as the Caped Crusader, took $158m (£97m) in its opening weekend in 2008, while Spider-Man 3 took $151m (£93m). Both superheroes will once again be seen on screen during the summer. The Avengers, directed by Joss Whedon, failed to beat the final Harry Potter's first day takings record of $91m (£56m) but surpassed it over the following two days. No other big films dared go up against it, with only the British film The Best Exotic Marigold Hotel being released on the same day. 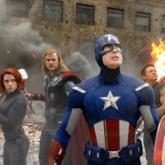 The Avengers has so far taken $641m (£396m) worldwide.